That didnât take long. A few days ago we told you about The Simpson Tapped out going live in some regions, and tonight it looks like itâs officially out in the US and other parts of the world. Ready to build your own Springfield? For those of you not familiar with the game you basically get you build your own version of Springfield complete with all the landmarks and characters you know and love from the series. The controls are that of your typical building game so if youâve played one of the thousands out there youâll have no trouble picking up The Simpsons Tapped Out and getting down to business. There seems to be a lot to do, but itâs a time-based game so Iâve not gotten too deep into things yet. The Simpsons Tapped Out is full of humor straight from The Simpsons and there are a lot of jokes made about mobile gaming and even the evilness of in-app currencyâ¦ nice touch. That being said, donuts are the featured form of rare currency in the game and youâll probably buy a lot of them as the game is a blast if you love the Simpsons. 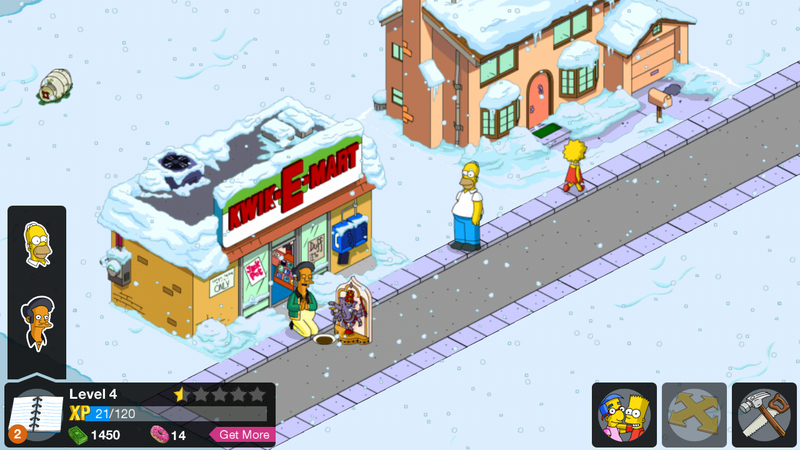 You can check out EAâs The Simpsons Tapped Out for free on Google Play.